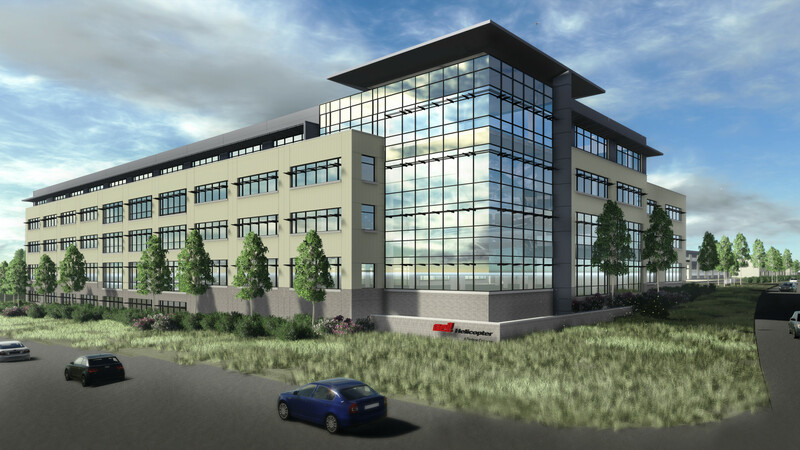 Profile: This new facility at Bell Helicopter's east Fort Worth's headquarters complex holds over 1000 workstations and a 2600 SF Data Center. The $240 million project is part of a larger $1 billion four-year plan to bring in the next-generation of Bell Helicopter products for military and commercial use. The new 4-story building also features offices for managers and executives, a security command center and numerous meeting spaces and state-of-the-art conference rooms for collaborative work environments. Services: DataCom Design Group provided design and consulting services for Information Technology, AudioVisual, Electronic Security, Acoustics and Communications Connectivity to the site.